Today we’re delighted to post the latest guest interview by the ballet-savvy editors of The Ballet Bag. They caught up with Royal Ballet Principals Edward Watson and Steven McRae as they prepare to 'dance themselves to death' as the lead in MacMillan's The Rite of Spring, an extraordinarily demanding role - and one usually danced by a woman. TBB: Monica Mason has remarked in the past that MacMillan's choreography for The Rite of Spring is 'absolutely not feminine'. What do you think male dancers can bring to it? Edward Watson: The steps aren’t feminine at all. When a woman dances it, I think it shows the strength of the human spirit but when a man dances it, it’s completely the reverse; the same steps show how vulnerable we are. 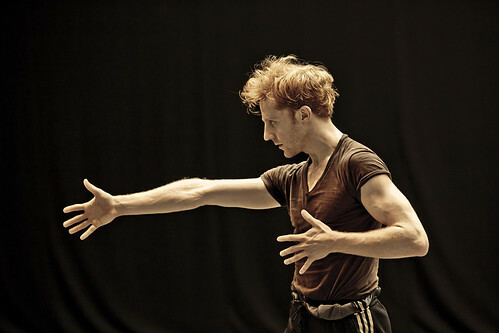 Steven McRae: I believe the Chosen One is a role that can be brought to life by either a male or a female dancer. 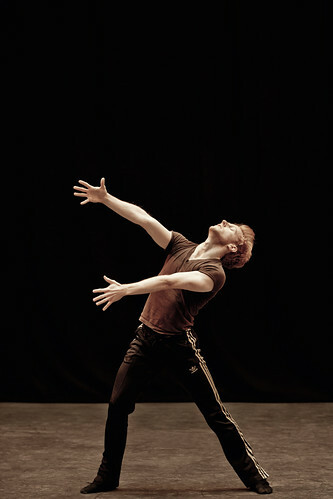 The role is very demanding physically and getting through the piece requires a lot of psychological strength. Obviously the physical approach to the role may differ. The choreography has a lot of allegro work, something males are used to performing regularly. TBB: How are you approaching the role? What emotions are going through the Chosen One's head? Edward: By making sure I know the music well and that I know the stage patterns and so on. I think about the terror and pride going through the Chosen One’s head and about the inevitability of the ritual. TBB: Who is coaching you? What have preparations been like? Edward: Monica Mason has been coaching me. I haven’t needed to do any reading or other preparations as it was created for her and she knows it inside out. Steven: I actually spoke to Wayne Eagling about the role recently at a function in Buckingham Palace; I am loving being coached by Dame Monica Mason. Working with the person the role was created on is the closest thing you can get to working with the creator. I was fortunate to work with Lesley Collier on Rhapsody early in the season, and again that was incredible because you are being exposed to details about the piece and choreography that perhaps other people may not know. TBB: What was your previous experience with this ballet? What were your impressions? Steven: I have danced it as part of the corps de ballet. In fact, it was my first season in the Company. Unfortunately someone was injured and I had to jump into the ballet on opening day. I loved performing it. The adrenaline and sheer power of having the entire Company move at speed on stage is something I will always remember. I look forward to having the ensemble filter that power towards me as I dance to my death! Edward: I have never been in the ballet before but I’ve always watched it from the audience and loved it. 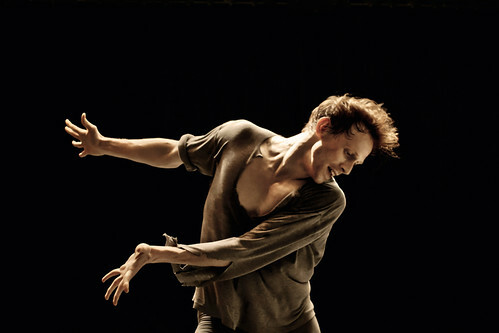 It never occurred to me I would get to dance The Chosen One – it was just one of the ballets I liked watching. TBB: This version of The Rite of Spring - the first British one - draws heavily from aboriginal culture, painting a 'nightmarish vision of aboriginal Australia'. Steven, were you exposed to some of that growing up, how authentic does the production feel to you? Steven: In Australian schools, Aboriginal art is something most students are exposed to. I studied a bit of it at school. We used to do many 'hand' paintings as well as 'dot' paintings, both very uniquely aboriginal. This Australian link is quite a special connection to have in the piece for me. Sidney Nolan did a fantastic job on the designs. TBB: What's unique about MacMillan's Rite of Spring? Edward: It’s very tiring! I think it’s one of the most intense ballets I have danced – there seems to be a whole act’s worth of dancing compressed into about ten minutes. TBB: How would you pitch The Rite of Spring to someone who's new to ballet? Steven: Seeing an entire stage full of dancers giving it their all is breathtaking. The piece requires complete concentration and watching the Company become "possessed" on stage generates a powerful force of nature. Truly a must-see!